Winter can be hard for many, including those with seasonal affective disorder (SAD) and the lack outdoor time often prevents many from getting enough vitamin D. Vitamin D is essential for many functions of your body, including the immune system, bone health as well as for your mood and cognitive function. 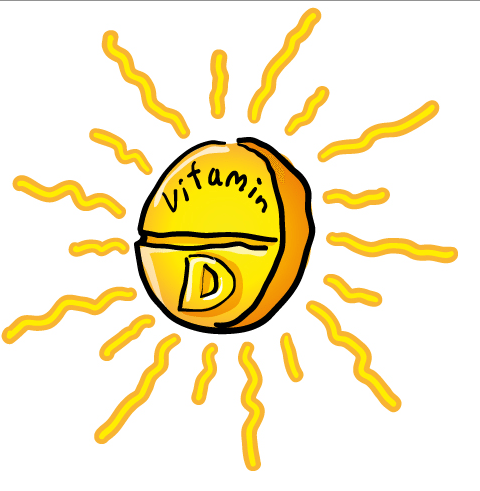 Vitamin D deficiency is linked to everything from depression, heart conditions, asthma, cognitive impairment, to cancer. So what kind of vegetarian food can I eat to get Vitamin D? Cholecalciferol (vitamin D3)- preferred. D3 is significantly more potent in raising and maintaining vitamin D concentrations and is converted by your body into the active form faster than vitamin D2. How much Vitamin D suppelment shall I take? This really varies based on your vitamin D level, which you can get it checked with your regular blood work. General recommendation for those with Vitamin D deficiency is to take ~8,000 IU’s of vitamin D a day in order to raise their serum levels above 40 ng/ml. For normal supplementation, Vitamin D council recommends for adult to take 5,000 IU of vitamin D.